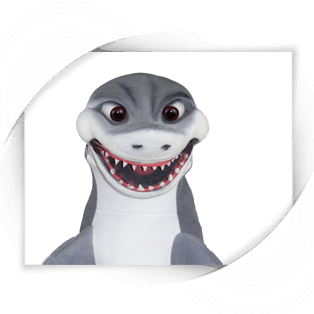 Shark puppet or Chopps has a latex head and sharp latex teeth. It’s also equipped with a zipper at the bottom for cleaning it and extending its use. Chopps also comes with a custom carry bag at no extra charge.